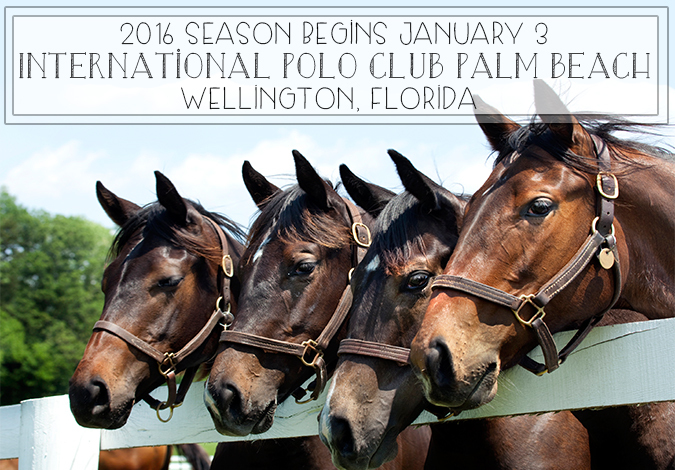 The International Polo Club Palm Beach 2016 Season Begins Next Week! Wednesday, December 30th, 2015 at 10:12am. The 2016 Palm Beach Polo Season will open on Sunday, January 3, and will come to a close with the USPA 112th U.S. Open Polo Championship® final on April 24. Polo matches are open to the public, with a wide range of hospitality and guest seating that includes elegant grandstand viewing, field tailgating, stadium seating, field-side champagne brunch at The Pavilion, and exclusive sponsor boxes.